We almost lost Fantasia Fair. Last fall, there were stories and rumors swirling around about Fantasia Fair's imminent demise. I will not repeat any of them here because I don't know which stories are true and which are false, but the bottom line was that Fantasia Fair was folding its tent after the their long run as the longest running transgender event in this neck of the woods. We lost so many other transgender events the last few years, losing Fantasia Fair would be the another big blow to our community. Fantasia Fair is unique. Most other transgender events take place in a hotel. Some of those events sponsor quick trips out among the civilians, but most of the time, the attendees are cooped up in the host hotel for a long weekend. Fantasia Fair is eight days a week. 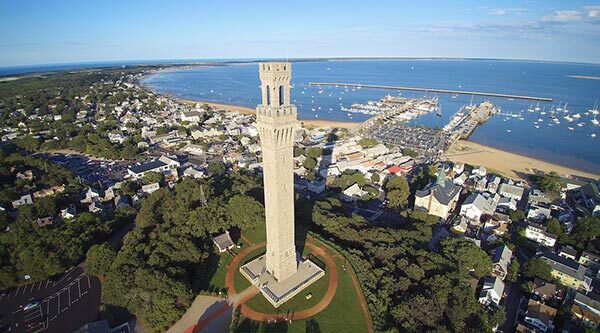 And instead of being stuck in a hotel, attendees live and breathe out among the civilian population of Provincetown, Massachusetts. The whole town is our oyster and is completely supportive of the girls and boys in attendance. The good news is that Fantasia Fair regrouped. 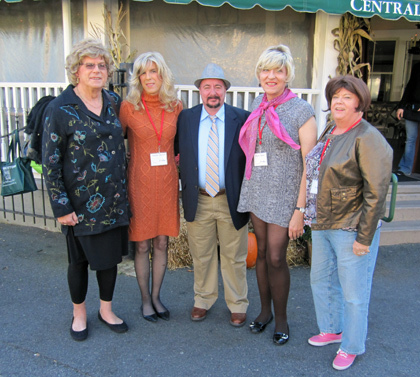 The event has been saved and will be back in its groove from October 14 to October 21. They even have a fresh new website where you can learn all about the event and sign up to attend yourself. By the way, I want to thank the folks behind the new website for mentioning my book, Fantasia Fair Diaries, which recounts my experience attending the Fair. Read the book and it will whet your appetite to become a future Fan Fair attendee. It was at FanFair where I first felt rain on my stockings. It was at FanFair where I first encountered a “civilian” who asked me for directions. Even though I transitioned over eleven years ago, FanFair will always have a special spot in my heart. Now I go not for the events but to meet old friends, some that I first met in 2002 and to make new friends. So Stana, the big question… are you going to do a workshop this year? There is a shortage of workshops and they need a lot more workshops. All of my workshops would be preaching to the choir. P.P.S If you go for the whole or just three days I strongly recommend going to the workshop “Lost in the Pink Fog” the first time I went it hit me that on Monday I would have to go Drab again. I would love to do a workshop this year and attend the Fair as well, but I am not sure I can get away for a week or even a half-week considering my wife's health. She has good days and bad days. We will have to mull it over for a few days and make a decision soon because I know accommodations will get scarcer as we get closer to Fair week. I just spent two weeks in Massachusetts with my parents. For the first time, I had a vacation that I felt was too short AND too long. Heather really wanted to visit P-town on this trip but the closest I got was Boston in boy-mode. I have the luxury of being near Las Vegas and the Diva Las Vegas event but I've also never attended that one. We're a single income household and with my Administrative Assistant pay grade, flying and renting a car for 2 weeks...I gotta save up again. If money is an issue, you might consider applying for a scholarship. With a kid in college and a single income household, that's how I attended the first time. You really don't need a car once you get to Provincetown! So it really is a small plane ride (Cape Air) or a bus ride from Boston. True. Each time I attended the Fair, I parked my car upon arrival and did not move it until I departed 7 days later. However, I still needed my car for the four hour trip to Provincetown because using public transportation between here and there would be very convoluted. 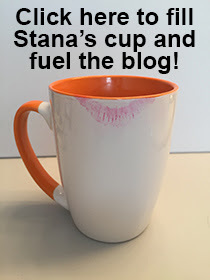 Thanks for the post, Stana, and we would love to have a workshop from you. We did have a bit of a crisis in the fall, with several key personnel phasing out, but new leadership has come forward and the Fair is in good shape for 2018 and 2019, at least. The Fair, and do almost all trans events, depends upon volunteers, and there are never enough. I'm glad you like the new website. Hi Dallas, As I wrote replying to Diana's comment above, I would love to do a workshop this year and attend the Fair as well, but I am not sure I can get away for a week or even a half-week considering my wife's health. She has good days and bad days. We will have to mull it over for a few days and make a decision soon because I know accommodations will get scarcer as we get closer to Fair week. My name is Temperance DuWitt and I am the Registrar for Fantasia Fair. I just want to let everyone know that registrations have been particularly strong this year. Aside from a few rumors, the continuation of the Fair was never really in doubt, and I wish to encourage anyone who has an interest in attending the week-long event to register. We are going to have a splendid Fair this year! The Fair is alive and well! PS: I'm also going to help the Fair this year with registration at the Boatslip and do a daily blog of happening information.